My photographic work investigates the contemporary urban and suburban landscape. 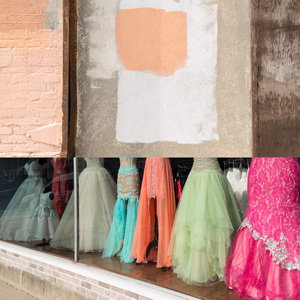 City streets, building facades, corner markets, parking lots, and single-family homes are connective themes in my images of the disregarded, the forgotten, and the overlooked. Iím asking the viewer to consider these subjects and to recontextualize the visual experience - finding pleasure in relationships of color, texture, and form. From this observation, my images may reveal other hidden truths to the human condition experienced in urbanity, raising questions about society, culture, and public policy.